iBASE this week introduced one of the industry’s first rackmount network appliances running AMD’s EPYC Embedded processors. 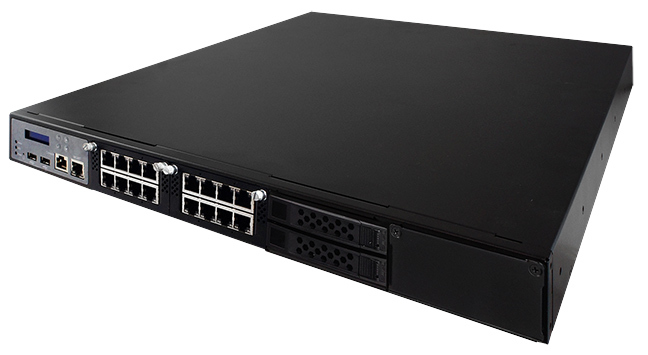 The FWA8800 1U features eight cores, up to 128 GB of DDR4 memory, and up to 32 GbE ports. The appliance is targeted at various high-density deployments. The iBASE FWA8800 is based on AMD EPYC Embedded 3201 SoC that integrates eight cores without SMT running at 1.5 – 3.1 GHz, and dissipating up to 30 W. The machine supports up to 64 GB of DDR4-2667 memory when UDIMMs are used, and up to 128 GB when RDIMMs are used. Meanwhile, since the system is powered by an EPYC chip, it naturally supports ECC, Secure Memory Encryption (SME), Secure Encrypted Virtualization (SEV) that protect data in DRAM using a dedicated AES-128 engine, and other RAS features that AMD has to offer with its Zen microarchitecture. In addition, the machine id equipped with a TPM 2.0 module. The FWA8800 from iBASE is outfitted with an Intel i210-AT Ethernet controller, and can accommodate two IBN modules that support up to 16 GbE ports. Optionally, the manufacturer may install four IBN modules that support 32 GbE ports, but this will affect other capabilities of the system (e.g., eliminate optional hot-swappable 2.5-inch bays, etc.). 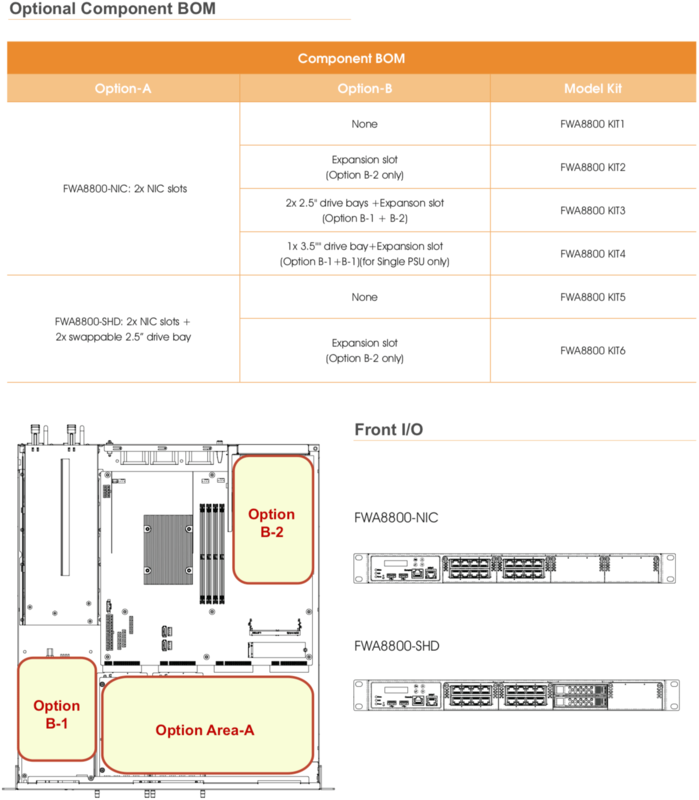 The network appliance also offers various expansion capabilities, including a PCIe 3.0 x8 slot, one M.2 slot (PCIe 3.0 x4, SATA), two SATA 6 Gbps ports, two USB 2.0 headers, and an optional IPMI 2.0 module. As for power supply, the 1U rackmount machine can be ordered with various 250 W PSUs, or a 300 W redundant PSU. iBASE is particularly proud of flexibility that the FWA8800 offers. The network appliance is designed for a variety of applications, including VPN/SDN/NFV/SD-WAN, network security, data management, and analytics. Given the fact that the said purposes have different requirements, the appliance has to be flexible in terms of configuration. 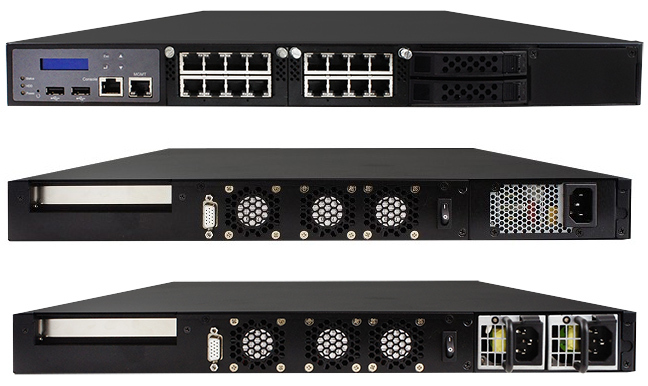 iBASE already lists its FWA8800 barebones on its website, so it looks like the company is ready to ship them. Pricing is unknown, but it will naturally depend on actual configurations, so will vary greatly.